Philip Wells Woods, 83, of Delaware Water Gap, peacefully passed surrounded by loving family members on Tuesday, Sept. 29, 2015, at Pocono Medical Center. He was the devoted husband of Jill Goodwin with whom he shared over 40 years. Born on Nov. 2, 1931 in Springfield, Massachusetts, he was the son of the late Stanley J. and Clara (Markley) Woods. He was a member of the Delaware Water Gap community since 1976. Phil, saxophonist, clarinetist, bandleader and composer, was a graduate of Technical High School, studied at the Manhattan School of Music and Julliard School, and immediately began his musical career traveling to six of the seven continents over the course of the seven decades. Phil was the most renowned alto saxophonist across the globe. Phil experienced a full life as son, brother, husband, father, uncle, grandfather, great-grandfather and friend. He was also a devoted mentor and master of his craft. 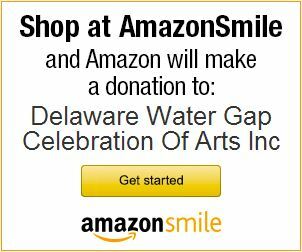 He, along with two timeless friends, the late Ed Joubert, and the late Rick Chamberlain, co-founded the Delaware Water Gap Celebration of the Arts Annual Jazz Festival which recently celebrated its 38th year. In addition to his wife, Jill, Phil is survived by his children, Garth Woods (Lorraine) and son, Christopher Wells; Kim Parker and son, Alek Sellers (Kate Dubray) and their children, Henry and Grady; Tracey Trotter; Allisen Trotter (Rocky Streck) and son, Chase. Also, brother-in-law, Bill Goodwin; sister-in-law, Rita Goodwin; numerous nieces and nephews; and countless dear and wonderful friends. He was preceded in death by a daughter, Aimee’, and brother, Stanley. Phil was a four time Grammy winner, 2007 NEA Jazz Master, and recipient of the Living Jazz Legend Award from the Kennedy Center. Phil left his imprint on this planet. He lives on in the hearts and minds of those whose lives he touched. He will be immeasurably missed and always remembered not simply for his musical genius, talent and personal presence, but for the countless contributions he made to the Delaware Water Gap community, surrounding areas and the entire world. Memorial contributions in Phil’s remembrance are welcomed by The Delaware Water Gap Celebration of the Arts (COTA), or COTA Camp Jazz, PO Box 249, Delaware Water Gap, PA 18327; cotajazz.org.